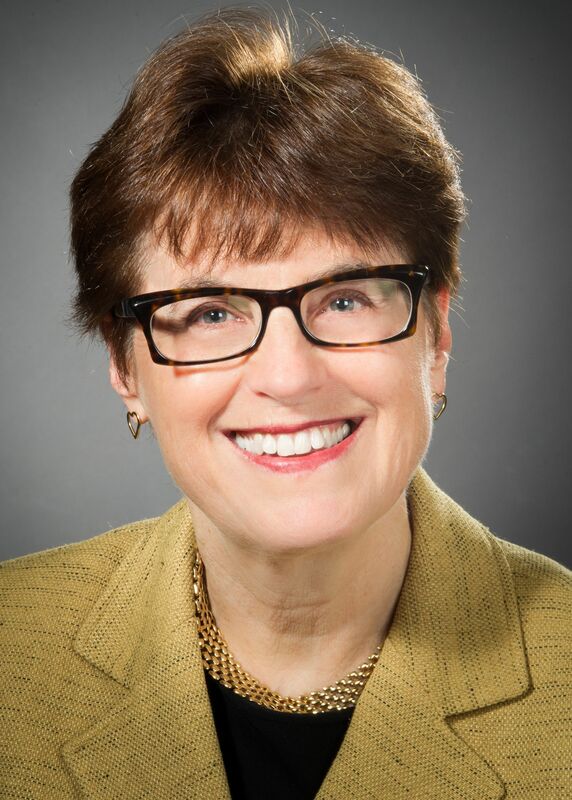 Karin Rhodes MD, MS, is Vice President for Care Management Design & Evaluation in the Office of Population Health at Northwell Health and Professor of Emergency Medicine and Psychiatry at the Zucker School of Medicine in New York. Prior to this role, she was promoted on the tenure track at the University of Pennsylvania, where she was the founding director of the Center of Emergency Care Policy Research at the Perelman School of Medicine, with appointments in the Departments of Emergency Medicine, Psychiatry, and School of Social Policy & Practice. With many on-going research collaborations, she has Adjunct appointments at Penn as a Professor of Psychiatry and Senior Fellow in the Leonard Davis Institute of Health Economics. A former Robert Wood Johnson Clinical Scholar, with experience in both qualitative and quantitative methods, Rhodes has been principal investigator on a number of federal and foundation-funded studies assessing the quality of emergency care, including conducting pragmatic intervention studies and RCTs in real world settings. Dr. Rhodes has a long history of leading and nurturing productive research collaborations and mentoring students, residents, and junior faculty. Her interest in assuring linkage of vulnerable patients to appropriate social and medical resources has resulted in several high profile studies, using simulated patient methodology to measure access to primary care and specialty care. In her current role at Northwell Health, she is responsible for helping to develop and test broad system-level interventions designed to improve transitions in care and the overall value of a health care visit. Dr. Rhodes’ research focuses on developing effective patient-centered responses to health-related social problems impacting individual and public health. Specifically, she has addressed policy-relevant questions around improving the value of an acute health care visit and use of patient-centered health IT as an opportunity for screening, brief intervention, and referral. To do this, she has adapted and further developed a number of innovative methodologies – such as audiotaping, IVRS, text messaging, and audit (simulated patient) methodologies – to rigorously measure quality, access, and disparities in care for vulnerable populations. Rhodes KV, Gordon JA and Lowe RA: “Preventative Care in the Emergency Department, Part I: Clinical Preventative Services – Are They Relevant to Emergency Medicine?” Acad Emerg Med2000 7(9):1036-41. Rhodes KV, Pollock DA. : The Future of Emergency Medicine Public Health Research. Emergency Medicine Clinics of North America. 2006; 24(4): 1053-1073. Vokes NI, Bailey JM, Rhodes KV. : “Should I give you my smoking lecture now or later?” Characterizing ED provider smoking discussions and cessation counseling.” Annals of Emerg Med. 2006; 48(4):406-414. Rhodes KV, Bisgaier J, Becker NV, Padowitz N, Vashi A.: “Emergency Care of Urban Women with Sexually Transmitted Infections: Time to Address Deficiencies.” J Sexually Transmitted Diseases2009; 36(1): 51-57. Smith R, Rhodes KV, Paciotti B, Kelly S, Perrone K; Meisel ZF: “Patient Perspectives of Acute Pain Management in the Era of the Opioid Epidemic.” Annals of Emergency Medicine 2015; 66(3): 246-252. Rhodes KV, Lauderdale, DS, Stocking CB, Howes DS, Roizen, MF, Levinson W. “Better Health While You Wait: A Controlled Trial of a Computer-based Intervention for Screening and Health Promotion in the Emergency Department.” Annals of Emerg Med 2001; 37:284-291. Rhodes KV, Lauderdale, He, Howes, Levinson. “Between me and the Computer” Increased detection of intimate partner violence using a computer questionnaire.” Ann Emerg Med2002;40:476-484. Rhodes KV, He T, Miller A, Bailey O, Howes DS, Walter J A. Veith T, Frankel R, Levinson W. “Resuscitating the Physician-Patient Relationship: Emergency Department Communication in an Academic Medical Center.” Annals Emerg Med. 2004;44:262-267. Rhodes KV, Levinson W. “Interventions for Intimate Partner Violence: Clinical Applications.” JAMA 2003;289(5): 601-605. Rhodes KV, Frankel M, Levanthal N, Bailey J, Prenoveau E, Levinson W.: “You’re not a victim of domestic violence, are you? Provider-Patient Communication About Domestic Abuse.” Annals Internal Med. 2007; 147(9): 620-7. Rhodes KV, Kothari CL, Cerulli C, Dichter, ME, Wiley J, Marcus S.: “Intimate Partner Violence Identification and Response: Time for a Change in Strategy.” JGIM 2011; 26(8): 894-899. Rhodes KV, Rodgers M, Sommers M, Hanlon A, Chittams J, Doyle A, Datner E, Crits-Christoph P, “Brief Motivational Intervention for Intimate Partner Violence and Heavy Drinking in the Emergency Department.” JAMA (published online August 4, 2015). Asplin BR, Rhodes KV, Levy H, Lurie N, Crain L, Carlin BP, Kellerman AL. “Insurance Status and Access To Urgent Ambulatory Care Follow-up Appointments.” JAMA. 2005;294:1248-1254. Rhodes KV, Veith TL, Levy H, Asplin BR: “Referral Without Access: For Psychiatric Services, Wait For The Beep.” Annals of Emergency Medicine. 54(2): 272-278, August 2009. Bisgaier J, & Rhodes KV: Auditing Access to specialty care for children with public insurance. N Engl J Med. 364: 2324-33, 2011. Rhodes KV, Kenny G, Freidman A, Saloner B, Lawson CL, Chearo, D, Wissoker D, Polsky D.: “Primary Care Access For New Patients On The Eve Of Health Care Reform.” JAMA Intern Med: published online, April 7 2014 doi:10.1001/jamainternmed.2014.20. Polsky D, Richards M, Basseyn S, Wissoker D, Kenney GM, Zuckerman S, Rhodes KV: “Appointment Availability After The Increase In Medicaid Fees For Primary Care.” N Engl J Med. 2015;372(6):537-45.